The Surprise Hatching Chick from Little Live Pets is a great addition to any child's toy collection. At only £14.99 available at all good toy stockists. 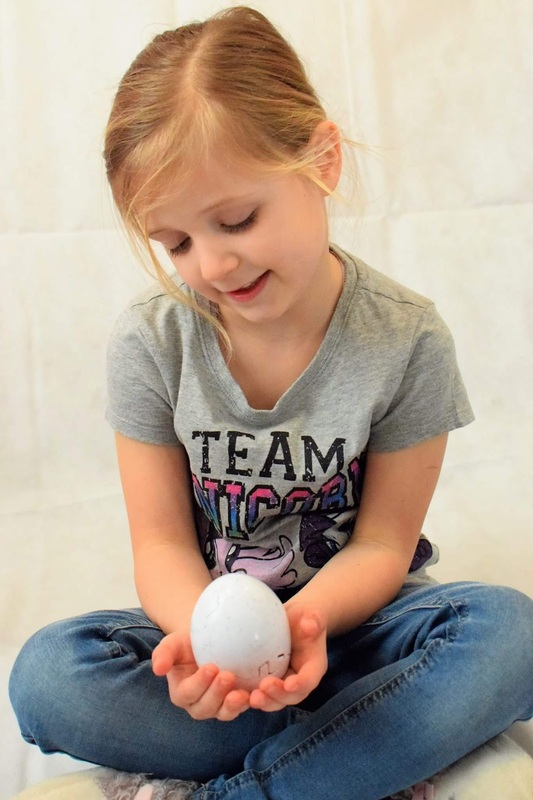 The hatching chick looks, acts and sounds so real that children can't help but fall in love with it. They're new to the Little Live Pets range & just in time for Easter. 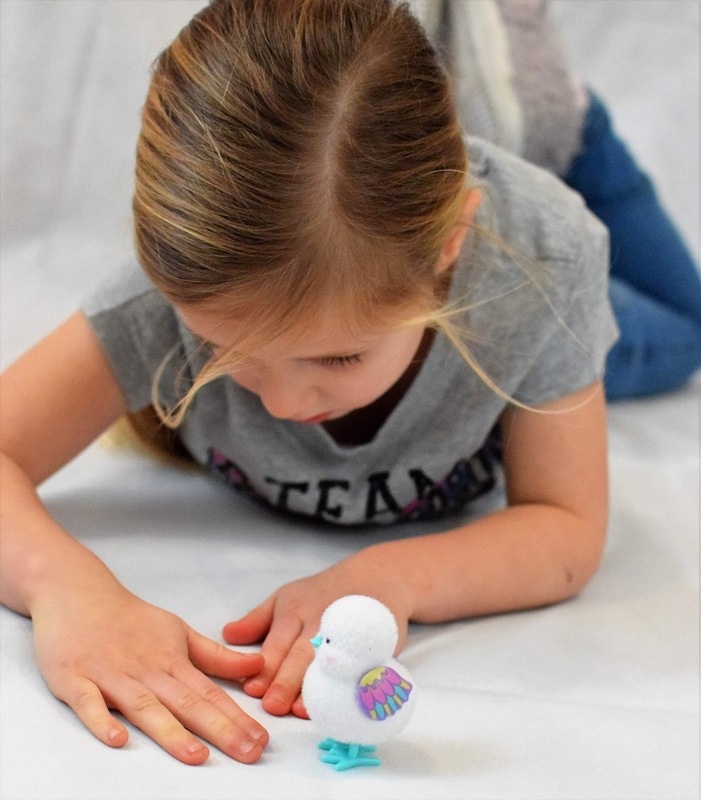 This toy is aimed for children aged 5+, girls & boys encouraging them to play together. There are four colours to find – Patty the party chick, Blossy the daisy chick, Tilly the dancing chick & Beaky the rainbow chick & that is another one of the surprises, or you could be one of the lucky ones who will find the Limited edition golden chick! The simple 1-2-3 instructions makes it super easy for children to grasp. Remove the tab, twist the key to unlock the chick from the bottom of the egg & take the tape off then wait for the chick to hatch. The chick taps & chirps inside of the egg just before it hatches out. H was amazed when the chick jumped out and started hopping around chirping. You can hatch your chick again & again by pressing down the chicks feet back into its body & inserting it back into its egg which opens freely. The more you pet your chick the more it interacts, putting other chicks together they will interact with each other. The Little Live Pets range is continuing to grow with new pets coming for spring my two really enjoyed playing with the chick and my eldest (age 8 has wanted to hatch the chick over and over again and my oungest age 5 loves to pet it and play.